Today I'm sharing with you one of my go-to looks for fall. 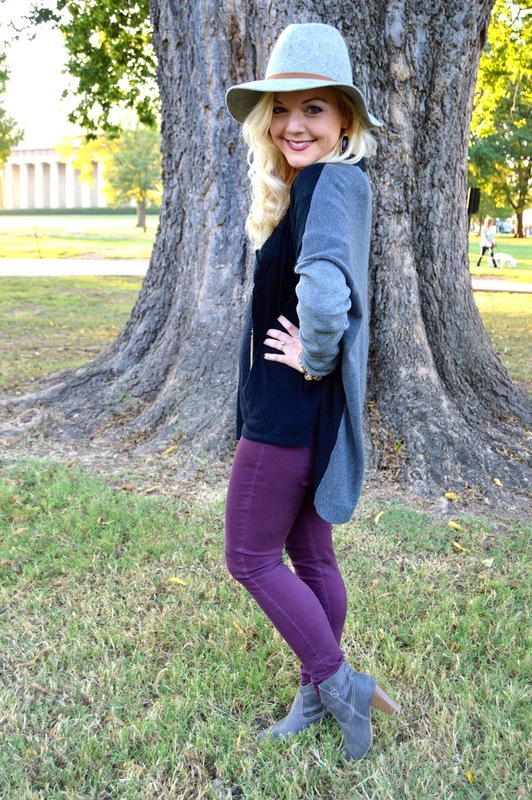 I have spent most of this week in Nashville for school, and one night my Mom & I decided to take a stroll in Centennial Park & take pictures for the blog....errrr I mean, take a stroll ;). It really is beautiful here!! I have been obsessed with fall hats ever since they first became a trend for fall a few years ago (check out how I've worn the fall hat on APFF before HERE). They add such a unique twist of style to an outfit, and not to mention, they can cover your roots when you need a touch-up (yes, I need to get my roots done again ASAP, and no, I'm not a natural blonde!! ::insert Dolly Parton joke about being blonde: "I'm not offended by all the dumb blonde jokes because I know I'm not dumb, and I also know that I'm not blonde": Dolly said it best, per the usual!). Anyway, I digress. 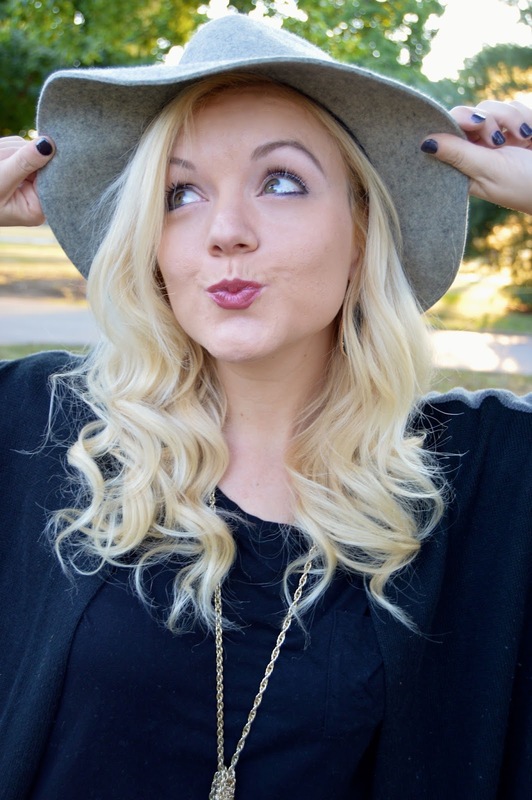 So, yes I need to get my roots done, no I'm not a natural blonde, and YES I love fall hats!! This one I'm wearing in my #OOTD is from Target. Target seriously always scores in the fashion department, especially with accessories. Guilty as charged for going into Target for "just a few groceries" and leaving with just a few fall accessories. Oops.... ;) girl problems I guess! 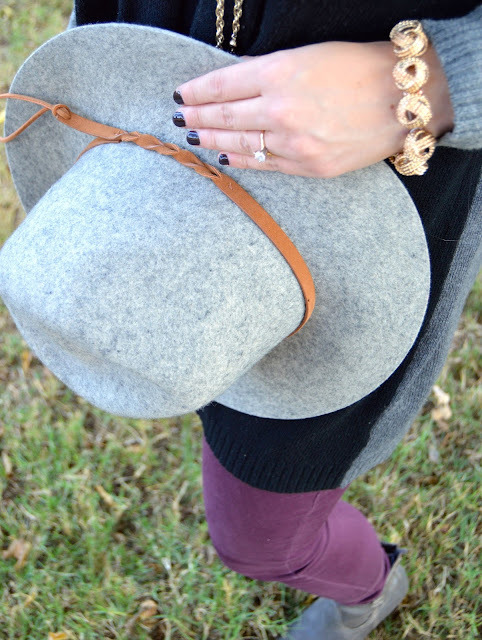 So what are your favorite fall accessories? Leave me a comment and tell me more! :) Thank you SO much for reading y'all!